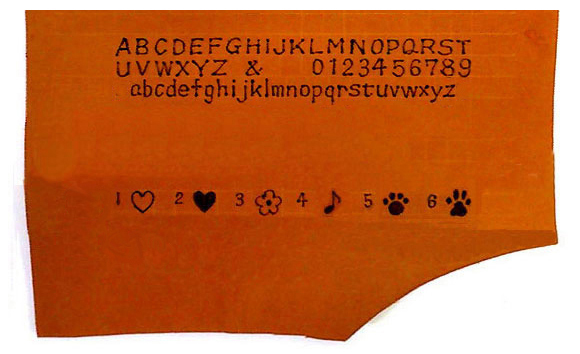 We offer free personalization(hand-written by leather burning pen) with every order. If you would like to personalize your order, add to a cart and enter the personalization you would like , it’s that simple. 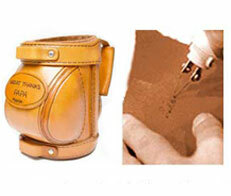 You can personalize your items with up to 8 characters(30 characters for large items such as Eyeglasses holder). These include the following characters. A~Z Capital + small letters. heart, music note, cat paw, dog paw, flower. -It will be hand-engraved, so the font can not be chosen. -Special branding with your company logo is possibel by press carving. -For bulk orders, please contact us for the details. Handwritten engraved keychains are truly a unique one of a kind gift. Perfect for memorial gifts, family gifts, or meaningful gifts for mom or dad.You will not find engraving like this anywhere else! 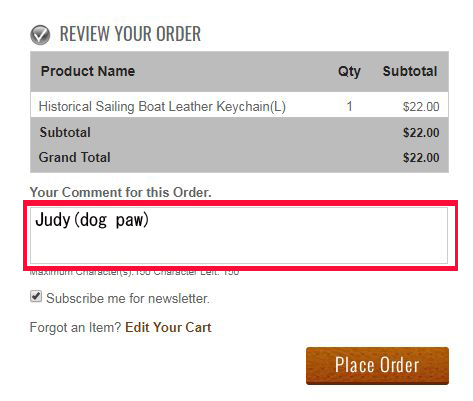 If you would like, we are more than happy to send a proof of how your text will fit on the item you have purchased. Please send an email to info@handcrafted-leather.com with your order number and I can send a quick proof. 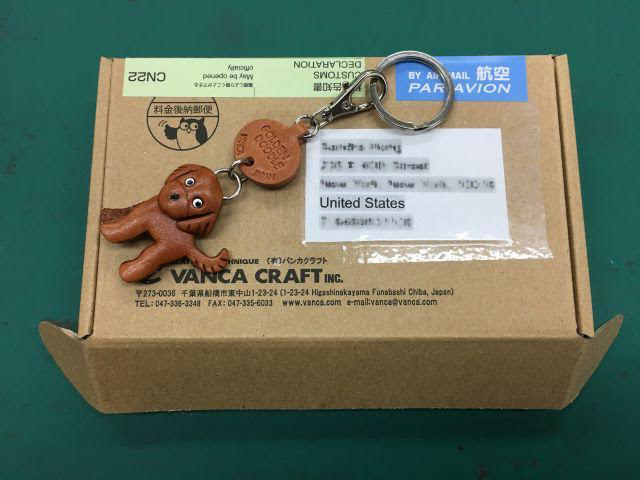 Your will receive the item and shipping box's pics like below. 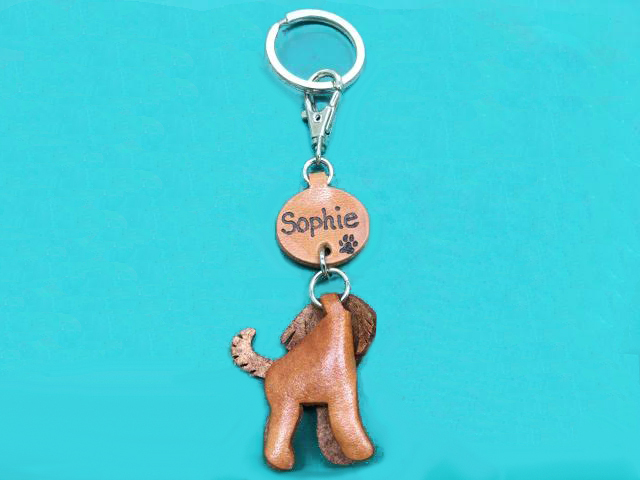 This is Goldendoodle leather dog keychain with the engraving of "Sophie (dog paw symbol) ". *Please note that your personalized item image might be used in our webpage/SNS.